Headphones are more than just a daily necessity, they are like our best friends, and with developing new models, these open back headphones have been on the top of the list for most people. Open back headphones are different in the sense that they allow some background noise to pass into your ears, so you are not completely cut off from the world. These top ten selections have been listed with all their features, specifications, and even their pros and cons. It has everything one would require to know in order to purchase a pair of open back headphones. It is helpful to have these laid out, so one can easily compare the features to one another, and finally pick out the one pair that suits their requirements the most. Get your hands on one of these open back headphones and you will be listening to audio like it is meant to be heard. 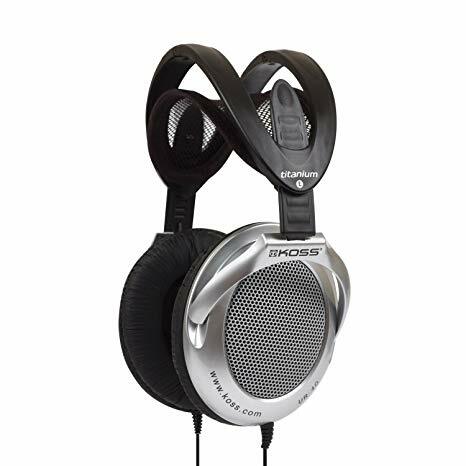 The Koss UR40 Collapsible Over-Ear Headphones are open back headphones with a hybrid design. 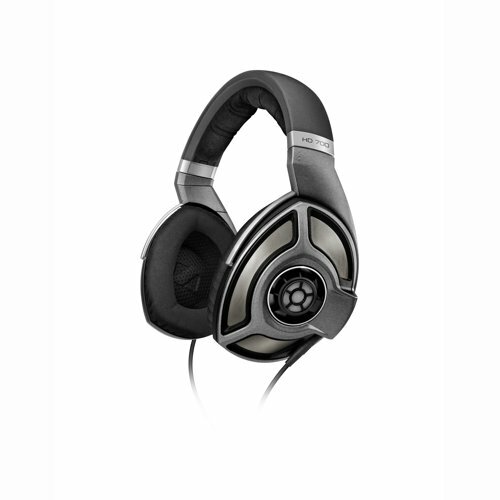 This combines the best of open style and closed style headphones with wired connectivity technology. It comes with closed leatherette ear cushions that form a light seal, not too much, not too little. Just enough seal to block out extra noise, while keeping the ears comfortable as well. The ear cups are also screened, so one can hear some of the outside noises. The headband that comes with this is adjustable, so it can easily fit a lot of head sizes without allowing any discomfort. Frequency response is a wide one as well with 15 to 22,000 Hz of the frequency range. The diaphragms are high polymer and titanium coated, so they deliver the accurate sound one would want. The magnets are made from rare earth materials of neodymium, iron, and boron for the most accurate sound replication. The titanium elements are also responsible for the amazing bass and treble clarity, while the headband being collapsible makes it easy to store away. The cord that comes with this is a standard 4-foot dual entry cord, and the plug is 3.5 mm. A pro is a bass, which is great for the price. A con is an earmuff which can be easily torn. These Samson SR850 Semi-Open-Back Studio Reference Headphones are open back headphones for those who really love to indulge in good music or have a thing for precise audio. These are on-ear studio headphones that are very comfortable to put on and can be worn for hours without any discomfort of any sort. They have a very detailed and dynamic audio, which is what makes this model so great. It also has a closed back design, which is for the times you really want to shut the outside world off or want some quiet time of your own, like at the library. The drivers that come with this are a premium 40 mm and made with some of the rarest earth magnets to deliver the best of sounds. Adapters that come with this set are 1/8″ to 1/4″. 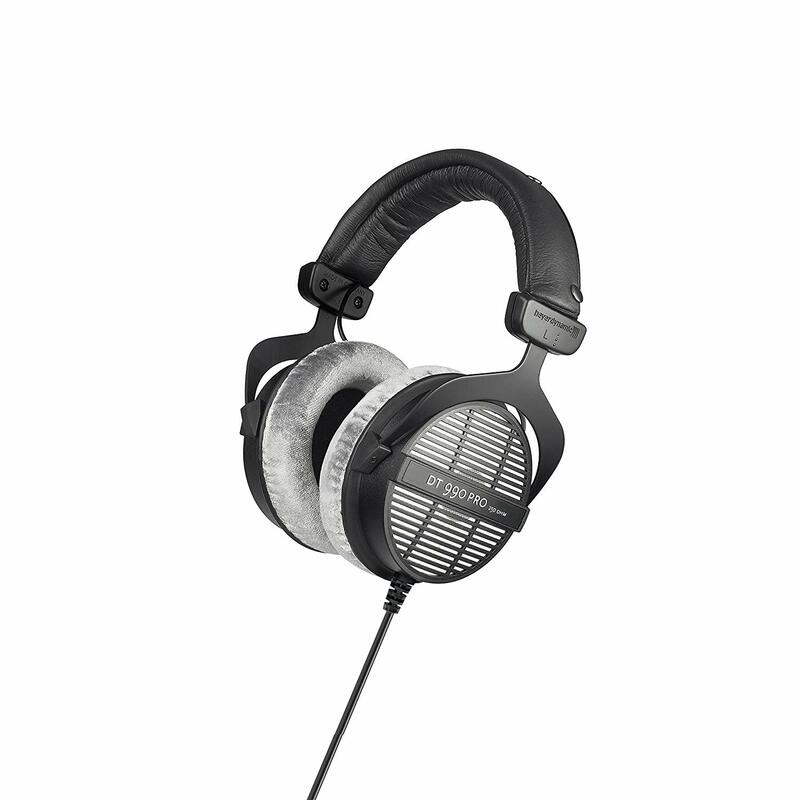 The Samson SR850 Semi-Open-Back Studio Reference Headphones weighs approximately 9.3 ounces and has dimensions of 9 x 3.5 x 7.8 inches. This does not come with a carrying case, the tip is 3.5 mm, and it has a low impedance. A pro of this model is that the bass is not too loud that it hurts the head, but just right and precise so you still understand the music. But that is also a con for bass heads who prefer louder and heavier bass. Philips as a brand is pretty well known for their amazing electronic devices. 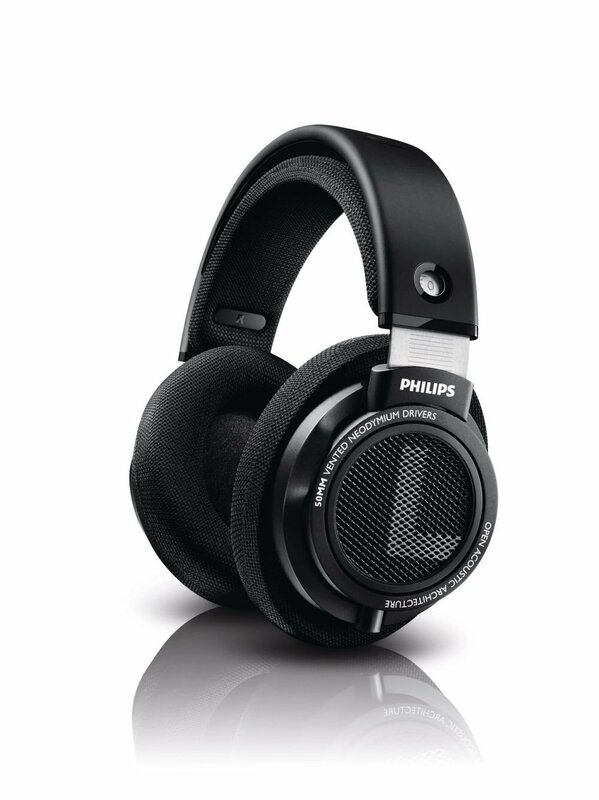 So, it makes sense that these open back headphones from Philips line SHP9500S would be just as good if not better. The SHP9500S comes with 50 mm neodymium drivers, which help to deliver a full spectrum of sound so the listener can have no complaints about not hearing even the tiniest of beats. The cable that comes with it is 1.5 m in length, which is a very generous amount and lets the user roam freely without having to worry about it disconnecting. The headband has a double layered cushion on it, made of breathable materials so one can wear this for long periods of time without feeling any form of discomfort. It is also adjustable so anyone can wear it without having to worry about it fitting. The connector has a gold-plated finish and an open acoustic system. The magnets are neodymium, the impedance is 32 ohms, the maximum power input is 200mW, and sensitivity is 101dB. Speaker diameters are 50mm, and the frequency response is a wide range of 12 to 35,000 Hz. Pros include the connections being very sturdy, and that it does not get hot after long times of use. A con is that the bass is not very loud. 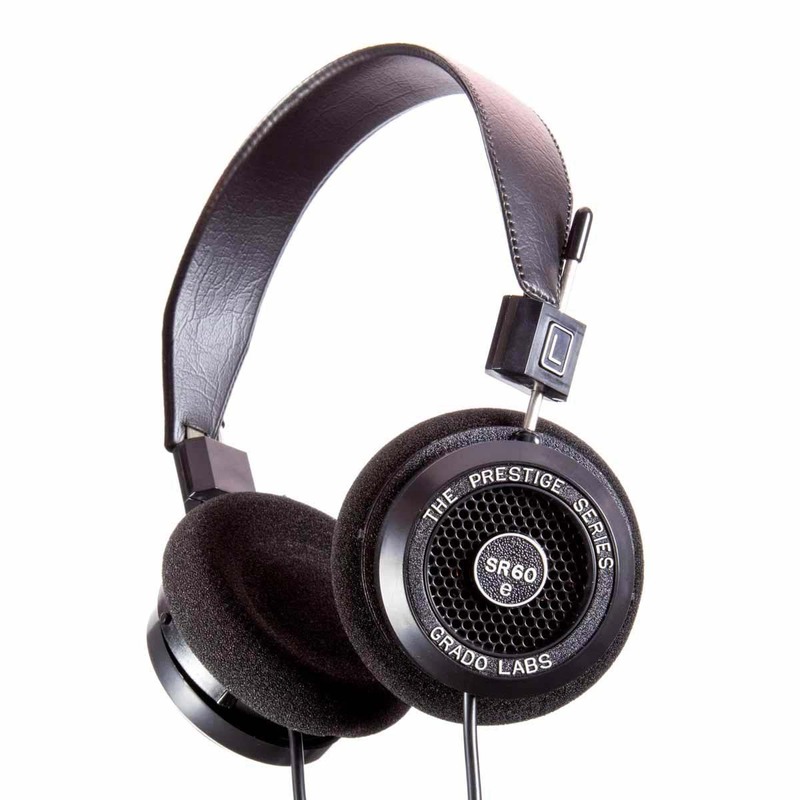 Grado SR60e Headphones are open back headphones with a wired connectivity technology. This model comes with a manufacturer warranty for up to an entire year. The mini plug it comes with is 3.5 mm with a ¼ inch adapter. It has an open-air operating principle and a frequency response of 20 to 20,000 Hz. The design of the Grado SR60e Headphones is very lightweight and ergonomic. It has a stylish look and is very easy to carry around; perfect for travel. With a full spectrum audio, this model makes the listener hear the notes they did not even know existed in the first place, that is how accurate it gets. These provide just the right bass and the kick audiophiles want and require, but now everybody can achieve it with this affordable pair from Grado. This better and improved model with a new polymer that helps to dampen resonant distortion is in a plastic housing, and also comes with a new driver system and a new cable from the plug to the driver. Because this comes in a plastic casing, it helps to eliminate transient distortions and reacts well to sound vibrations. A pro is that they are of great sound quality, and great for recording. A con is that these can come off as the heavy and old school to some people. 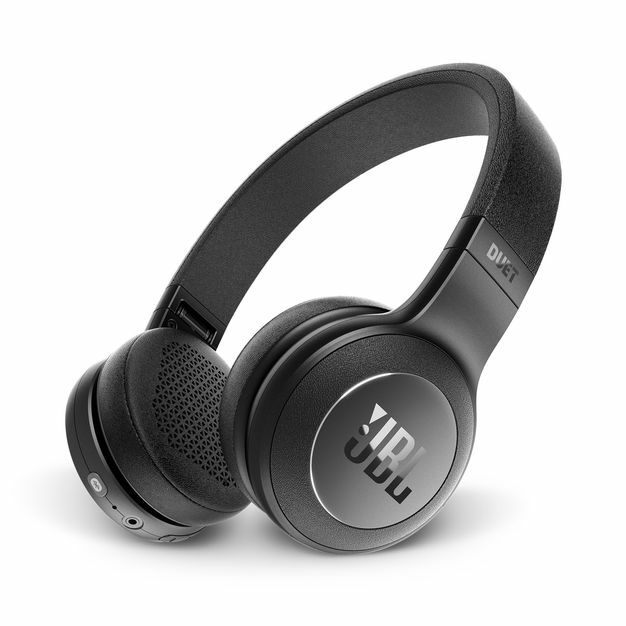 The JBL Duet Bluetooth Wireless On-Ear Headphones are open back headphones that have an on-ear style. These are here to bring to you the renowned JBL sound, in one of their most versatile packaging. With a battery life of up to 16 hours, this one can run for long listening sessions without needing to recharge. When you do, simply plug it in for 2 hours, and it can go for another 16 hours straight. It can also switch between a call and your audio very seamlessly so one can freely answer calls and go right back to their audio without having to do much. With its aluminum accents and leather ear pads, these are a sight for the eyes. To control the sound all one has to do is touch the ear pads, or use the one button universal remote with microphones, if it is in wired mode. The drivers are 40 mm and are what helps to deliver that signature JBL sound. One pro of this model is that it comes with the convenience of Bluetooth, so connecting with devices is made easier. Another pro is the full on-ear design which distributes the weight equally on the head, so no more headaches. A con of this product is that it has problems when trying to pair with more than a single device. 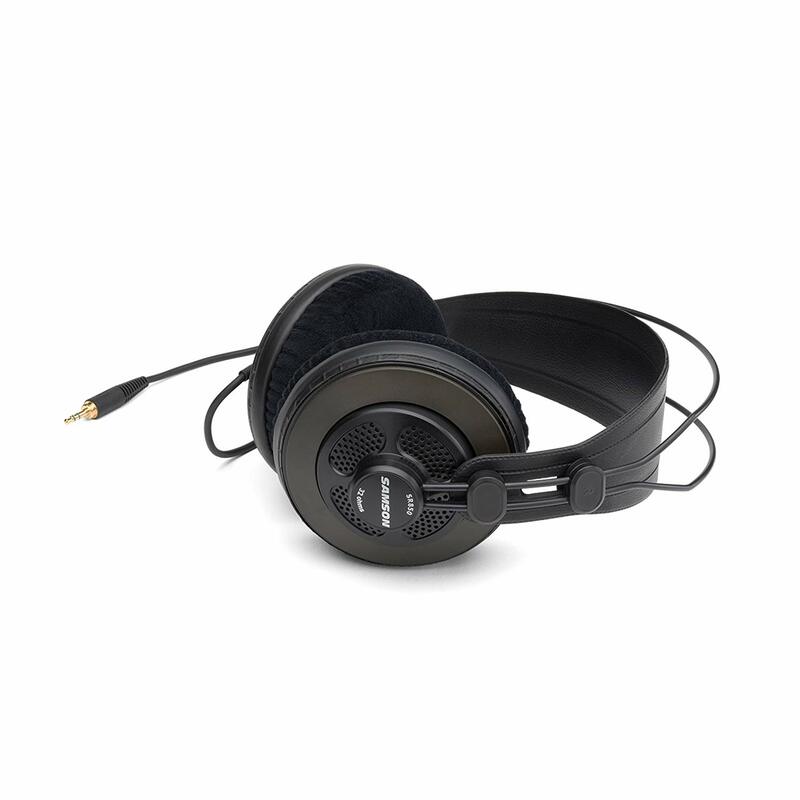 The Beyerdynamic DT 990 PRO Studio Headphones are open back headphones for professionals and those who want the professional feel to their headphones. 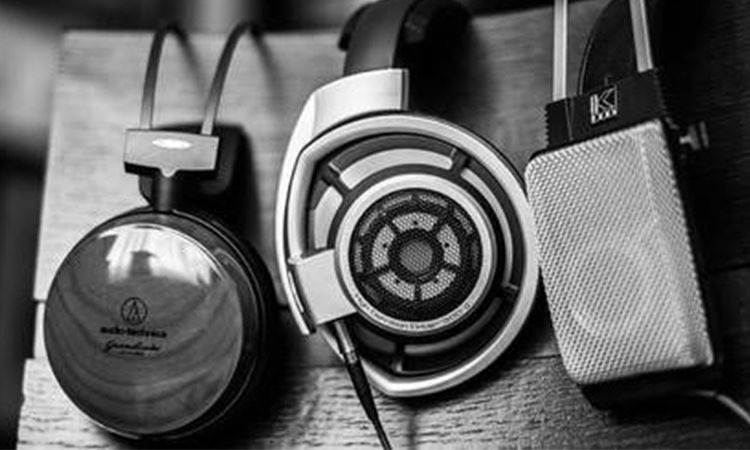 These are over the ear style, and just the right tool for professional mixing, editing, and mastering. It comes with transparent sound and is very spacious, with a strong bass and treble sound, perfect for studio applications. The ear pads are covered in soft velour for not only a luxurious feel but to provide the utmost comfort as well. 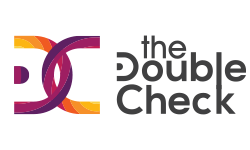 These are circumaural and are replaceable, so you can simply change them up if they get destroyed over long periods of use. Because these are made for professional use, they are very durable with a robust workmanship. Made in Germany, this very practical open back headphone comes with a single-sided 3 m long cable, instead of two. The headband is made of spring steel so it is very comfortable for those long hours of studio work. It has a finely graduated tonal depth, and a mild and not overstated bass. 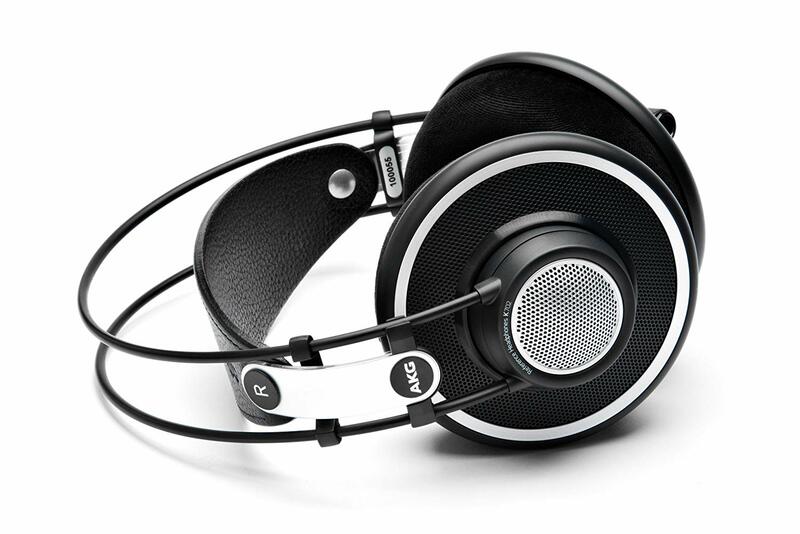 The AKG Pro Audio K702 are open back headphones with an over the ear design. This design is made particularly with the intention of long working sessions, so it will not give any sort of headaches. With a very sophisticated design, it has open technology that allows a very airy sound, without any compromise. The patented varimotion two layered diaphragm allows one to achieve a higher frequency range as well as a better performance at lower frequencies. The wire that comes with this is flat with a voice coil that aids in higher sensitivity, a better impulse and treble response as well. The ear pads are covered in a special three-dimensional foam that fits the ears nicely for comfort and ease of use. The audio frequency bandwidth on this is 10 to 39800 Hz, and the sensitivity of the headphones are 105 dB SPL/V. The maximum power input is 200 mW, and the rated impedance is 62 ohms. The cable is detachable, and the cable length is 3 m. It also comes with replaceable ear pads. A pro is that it is very lightweight and comfortable on the head. A con of this product is that it is a bit fragile and so needs to be handled with care, otherwise it can deteriorate very fast. HIFIMAN HE-400I are open back headphones that give a high performance, be it in a home or a studio. It is much lighter than most comparable headphones, and it comes with newer designs of headbands and ear pads as well. The ear cups are of ABS Polymer and in a glossy finish to give it a very contemporary look. The new and improved pressure pattern design is there to give the best comfort one can look for. Ear pads are made of velour and pleather, so it increases the comfort while giving a better sound quality. The massive diaphragm features high signal input with a flexible bass and treble, and because it is very lightweight. It has a very fast response time in comparison to similar models. The magnetic force is evenly distributed for a low distortion, but the right replication of the live sound. This planar technology allows music to be heard in a very quick and coherent way, unlike electrostatic drivers, and also gives a very quick transient response. Impedance is 35 ohms, the frequency is 20Hz to 35 kHz, maximum power handling is 6W, and jack plug is 3.5mm and weighs 370g. A pro is that the sounds are very detailed. A con is that it easily disconnects. These open back headphones from Monolith are one of the best ways to experience music. With a 106 mm driver technology, it allows the music to have a very detailed aural landscape and resolves the sonic details from recordings. With amazing imaging, very low distortions, and just the right balance of sound, this is for true audiophiles. This has planar drivers that are different from your average one, as it has a flat membrane that produces sounds of lower distortion, a better bass, and the pinpoint imaging which cannot be found in your everyday drivers. The open back design allows the user to still be connected to the outside world, all the while listening to their favorite audios. It gives the impression of being in a live performance, instead of being cut off from the world. The ear pads are large and comfortable because these are designed for long listening sessions. They are made of faux leather and the headband is padded as well for comfort. Pros are that the sound is very well rounded, and the structure is very sturdy. Cons are that the metal clips that come with it can seem like cheap plastic because they are a bit flimsy. The headband can also be tight on some people with bigger heads. These open back headphones from Sennheiser are of wired technology. 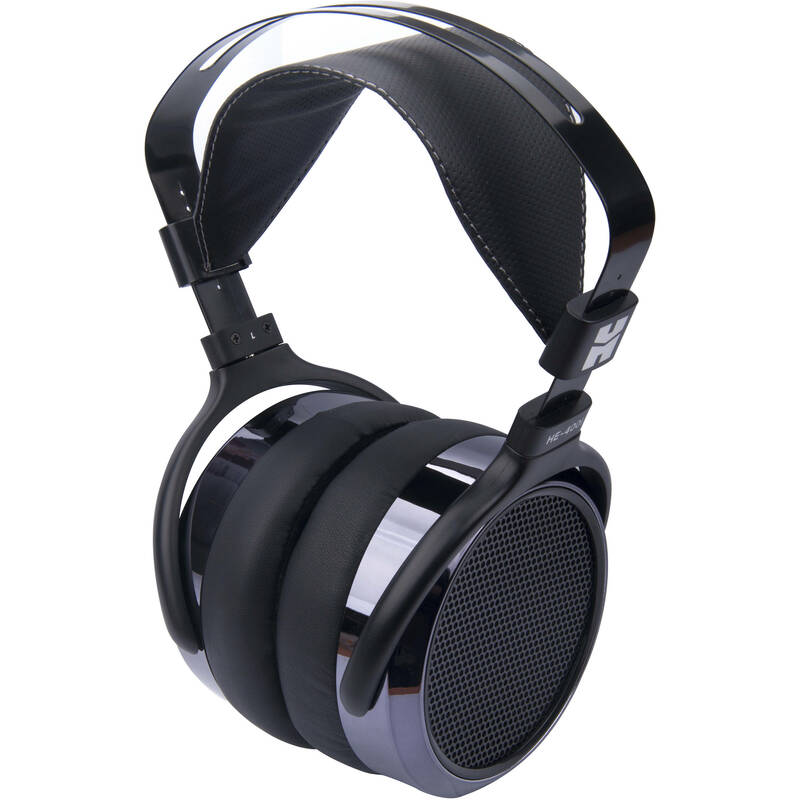 With open and circumaural stereo headphones these provide a lot of comforts when worn. The cable length on these is 3 m, so it provides a lot of space for the person to move around. The cable is asymmetrical and silver plated, oxygen free (OFC) copper cable. The audio reproduction from these is very warm and balanced. Frequency response on this is 15 to 40,000 Hz (-3dB), 8 to 44.000 Hz (-10dB). Drivers are specially tuned, and highly efficient, that can deliver very high sound pressure levels with a flat frequency response. The nominal impedance on this is 150 ohms. The magnet system is highly optimized and ventilated to minimize the air turbulence as much as possible. The ear cups are open back, so they facilitate transparent sounds all the while allowing a very cutting edge industrial finish. The ear pads are covered in very comfortable and luxurious velour and the headband is silicone treated. The low THD is achieved by the stable internal damping. A pro is that the comfort level is high enough to use it all day long without any discomfort. A con is that the replacement ear pads are very expensive. Even though all of these are open back headphones, they each come with something different and unique about them. It can be the style factor, or the frequency range, or how much ambient noise it allows. At the end of the day, it all depends on customer preference, and what each individual would prefer. 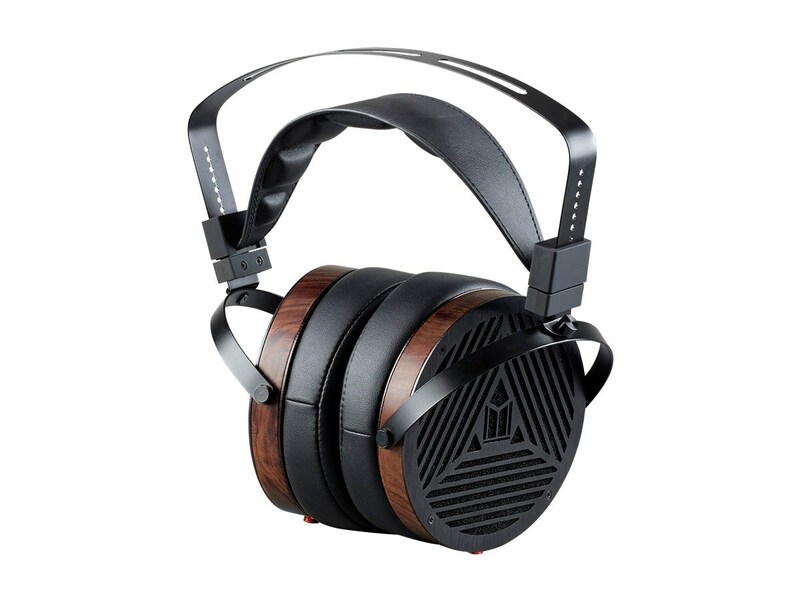 If you are looking to invest in a pair of good open back headphones that would treat you well for a long time to come, take your pick from here because solely relying on the market is likely to overwhelm you with the hundreds of designs and models.